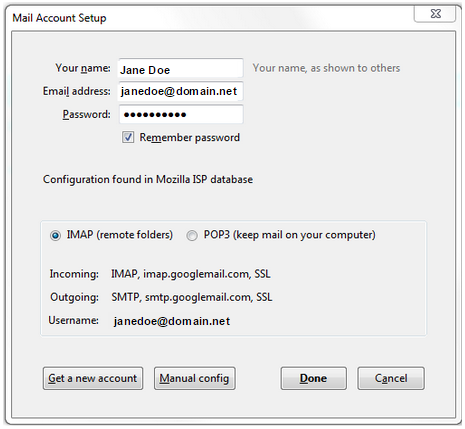 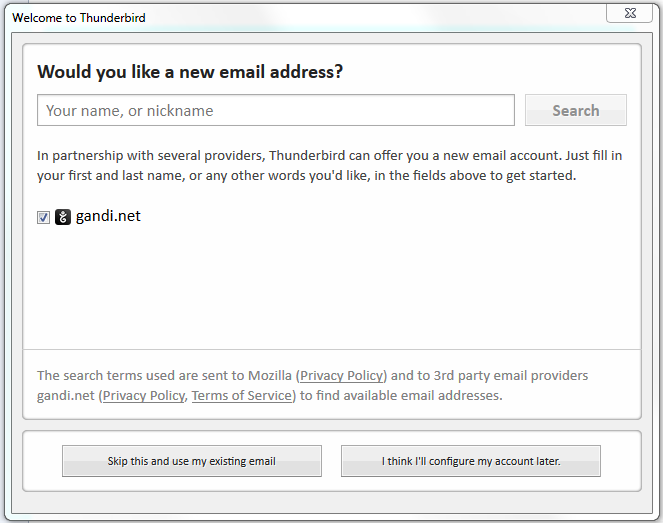 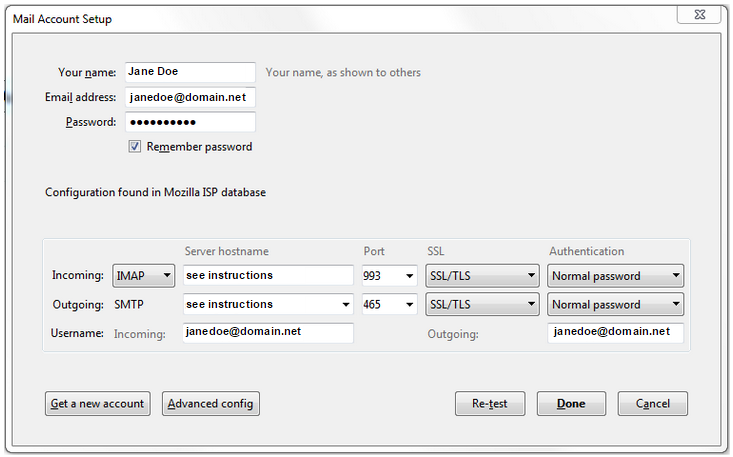 This guide will help you set up a new Thunderbird email account with the proper server settings. 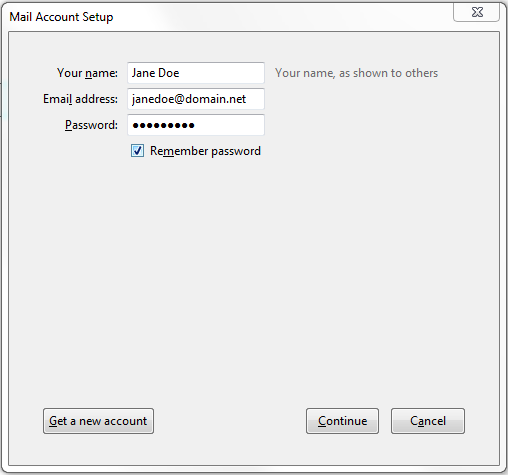 A window will open which poses the question: Would you like a new email address? 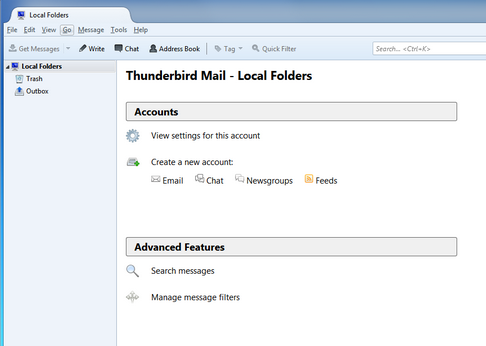 Congratulations, your Thunderbird email is now set up!